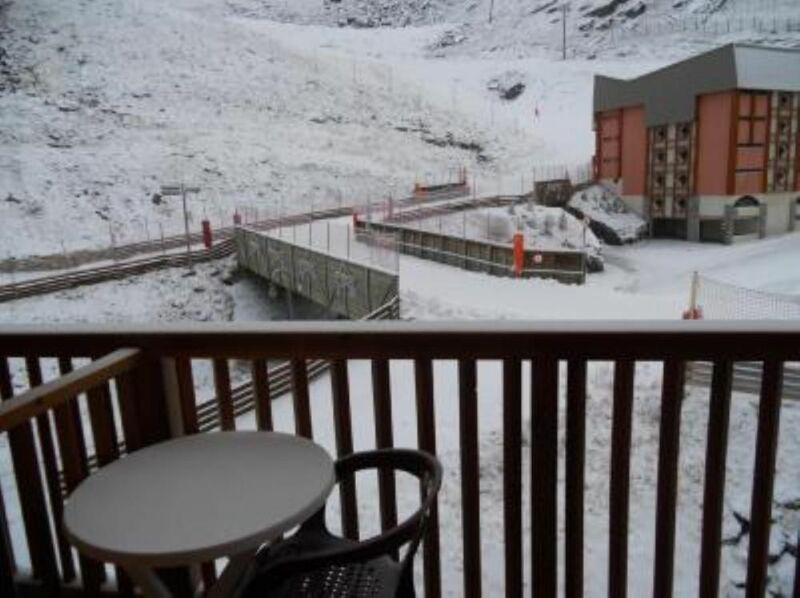 (Text automatically translated) Small studio in White Rock, very quiet, Discount duration, large 5m2 balcony in the heart of the resort, you will also enjoy the output and the ski back pieds.Possibilité rented another studio (25m2) 4to 5 people (Ref: 216274), and even same residence étage.Nous wish you a pleasant stay in our studios. Booking conditions: 20% deposit, the balance + security deposit are due 15 days before taking possession. We own another apartment for 6 pers: has the White Queen (Ref: 196244) We wish you a pleasant stay in our studios. We (a family of 3) stayed a week at this property and it was super in terms of location and functionality. The space is small, however when there is so much to do out and about it was never a problem. We could ski in and out of the accommodation and by simply crossing the road we were in the centre and and able to find plenty of restaurants, shops etc. Madeleine was wonderful as a host in terms of communication and answering questions. The only reason I gave 4 stars and not 5 was that on a couple of occasions there were noisy neighbours and although the block states no noise after 10pm, this had no impact on those returning from clubbing!! This however would not stop us from returning to the apartment. Highly recommend. Pour le bruit hélas certaines personnes ne sont pas respectueuses. Excelent stay for the price paid! Found the place clean, bright and welcoming. The space is very tight but when there are 600 km to ski outside and many things to do in the evening who wants to run around the Apartment in circles. Thank you and hope to see stay again. Nous sommes contents de voir que vous avez passé un bon séjour et que le studio vous a plu. C'est avec plaisir que nous vous recevrons une prochaine fois si vous le souhaiter. A bientôt si vous le souhaitez. NOUS AVONS PASSE UN AGREABLE SEJOUR .LES PROPRIETAIRES TRES DISPONIBLES ET SERVIABLES. Studio bien agencé et bien équipé on ne se sent pas du tout à l'étroit. Un bon rapport qualité prix pour cette station que J adore. Propriétaire réactive, réponses rapides. Je relouerai certainement. (Text automatically translated) take the motorway ..., follow directions ... Lyon Albertville, Moutiers, Val Thorens, here you are. (Text automatically translated) regional cuisine raclette, fondue, tartiflette régal.Location a real ski in Sport 2000 (caron gallery facing the pool), interesting discount, will also be happy to give you your keys and let your sheets and towels desired.